In March 2015, I completed a project in my Senior Electronic Media Projects Class at Moore College of Art and Design. 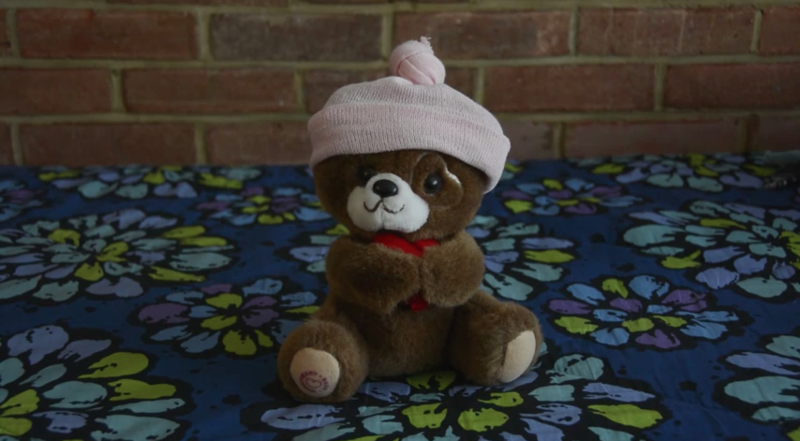 I started a project introducing my sisters teddy bear in two short videos. With a composed audio track of me saying why I hate teddy bears and why I love teddy bears. I used these videos to cope with this information of being a twin and losing one at birth. I love the whole idea of this project. I loved the creepiness vibe it gives off the fact that two videos are playing at once but both audio tracks sync up giving you the feeling that either me or my twin sister is talking about which teddy bear we hate/love. Overall I am very pleased with how these videos came out.